The Listeria outbreak linked to Dole packaged salads has expanded to include 15 people in eight states, according to an update on the investigation released by the Centers for Disease Control and Prevention (CDC) today. All 15 people were hospitalized. In the U.S., the most recent illness was diagnosed January 3. Salads made at the Dole facility linked to this outbreak were not removed from the market until January 22. Recalled salads have a code beginning with the letter “A” under the “Enjoy By” date. The salads were sold under the following names: Dole, Fresh Selections, Simple Truth, Marketside, The Little Salad Bar, and President’s Choice. The manufacturing code found underneath the “enjoy by” date of potentially affected salads begins with the letter “A.” They were sold at Giant, Kroger, ALDI, Price Chopper, Walmart, Fred Meyer, Schnucks, Meijer, ShopRite, Stop n Shop, Food 4 Less, Jay C, FoodsCo, PriceRite and other stores. Consumers who have purchased these products should not eat them. Unopened packages should be placed in a plastic bag that can be sealed and returned to the place of purchase or thrown away. 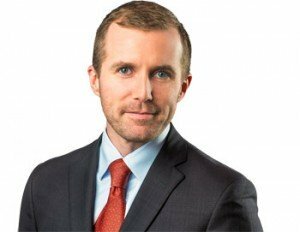 Attorney Brendan Flaherty represents clients sickened in Listeria outbreaks. Contact Brendan for a free consultation regarding a lawsuit at 1-888-377-8900 (toll free). Wash hands well with soap and water after handling. Clean the refrigerator drawer, or anyplace the salad was stored, with a mild bleach solution. Cutting boards, serving pieces, food preparation surfaces, or utensils that came into contact with the salad should be washed as well. A dishwasher is the best way to sanitize utensils. If that is not an option, use hot water and soap, followed by a solution of one tablespoon chlorine bleach to one gallon of hot water. Then wash your hands again. Consumers who have eaten them should monitor themselves for symptoms of a Listeria infection which can take as long as 70 days to develop. They include: nausea and diarrhea followed by fever, headache, stiff neck, confusion, loss of balance, and muscle aches. See a doctor and mention exposure to Listeria through this recalled salad if you do experience these symptoms. Young children, seniors, pregnant women and people with compromised immune systems are most at risk for Listeria infections. Among pregnant women, Listeria can cause miscarriage, stillbirth, premature delivery and illness in newborns. Public health officials have used genetic “fingerprinting” to link the outbreak to salads made at Dole’s facility in Springfield, Ohio. Dole, which had previously chosen to describe the removal of these products from the market as a withdrawal, issued a statement yesterday, January 27, saying the company will now refer to the removal of the products as a recall. The CDC reports that the first illness occurred in July 2015, the investigation began in September 2015 and the outbreak was announced last week after the source was discovered. At this time, five cases have been reported from New York, four have been reported from Michigan, and one each has been reported from Connecticut, Indiana, Massachusetts, Missouri, New Jersey and Pennsylvania. Case patients range in age from 3 to 83 years sold and the median age is 64. Seventy-three percent of those sickened are female one of whom is pregnant. The fatality occurred in Michigan. Food Poisoning Bulletin previously reported there were four deaths in Canada associated with the Dole Listeria outbreak. According to the Public Health Agency of Canada, three people sickened with Listeria monocytogenes have died, however their cause of death has not been linked to Listeria. In the United States, The Centers for Disease Control lists one death associated with the outbreak, however the details of that death have not been released. We apologize for the error.